Salsa dancing is prefect for Hen nights and for you as the ‘Bride To Be’ to celebrate with your female friends, while in a friendly, interactive and fun environment. 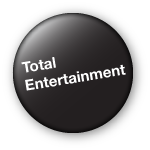 Salsa allows the freedom to be yourself and to enjoy the scintillating salsa music and rhythms. The salsa crowd is friendly and engaging, you will soon find yourself on your feet dancing away on the dance floor, being cheered on my your friends. The basic steps of salsa dance are some of the easiest dance steps to learn. 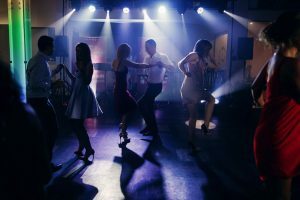 It does not matter if you do not have a partner or you are a large group of females, the salsa lessons dance partners and club dancing partners are rotated, so everyone gets to have their turn. Salsabuzz Hen Nights are warm and welcoming, we love absolute beginners, so you have nothing to worry about. The `Bride To Be’ is given special attention and additional special partner dances are provided to her. 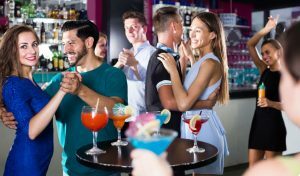 The sociable salsa dance club atmosphere will have you smiling, with all of the hip swinging, twirling and swishing, body shaping and pulsating salsa rhythms. 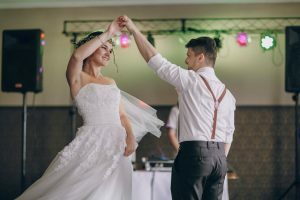 You will have a Hen Night full of fun to remember and by the end of the night, there will be no ‘L’ plates left on you when it comes to salsa dancing.